Hello, my foodie friends! If you live in Davao or visit it often enough, you might have noticed how the locals love the weekend market in SM Lanang Premier. I've gone to several of them and I just want to share my top five favorites for Taste of the Nation. If you manage to go to one of these events by Manic Nightnings, make a beeline for these kiosks. Number one for me is The SouthWing Cafeteria serves a selection of chicken wings in flavors designed to please anybody's preference. My personal faves? Lemon Pepper and Blazin' Hot. 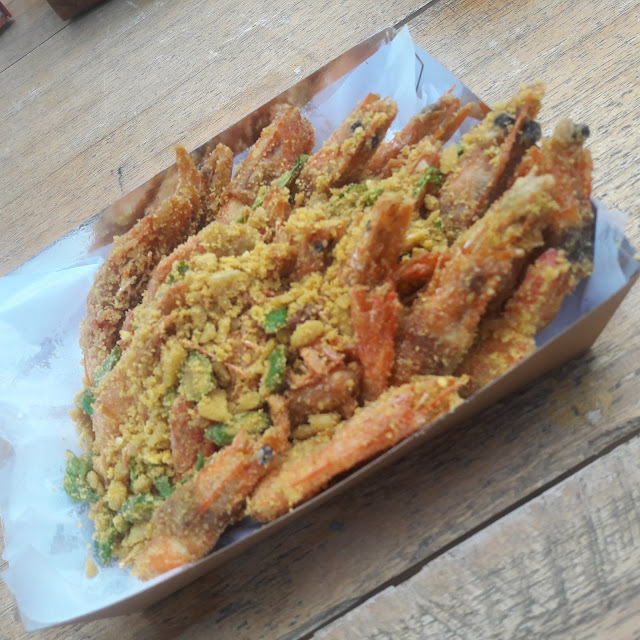 Lemon Pepper will make you go crazy for the sour "kilig" factor in every bite and the Blazin' Hot is perfect for people looking for real heat and zing. At number two, we have this beautiful serving of Cereal Crusted Shrimp from RD Crab Shack. The shrimps are crispy on the outside, succulent on the inside. I love the fact that these shrimps are just the right size to munch on and how perfectly they are cooked. Gone in 60 seconds! Number three is for when you're feeling a bit naughty. In the mood to indulge? Why not get some bagnet? 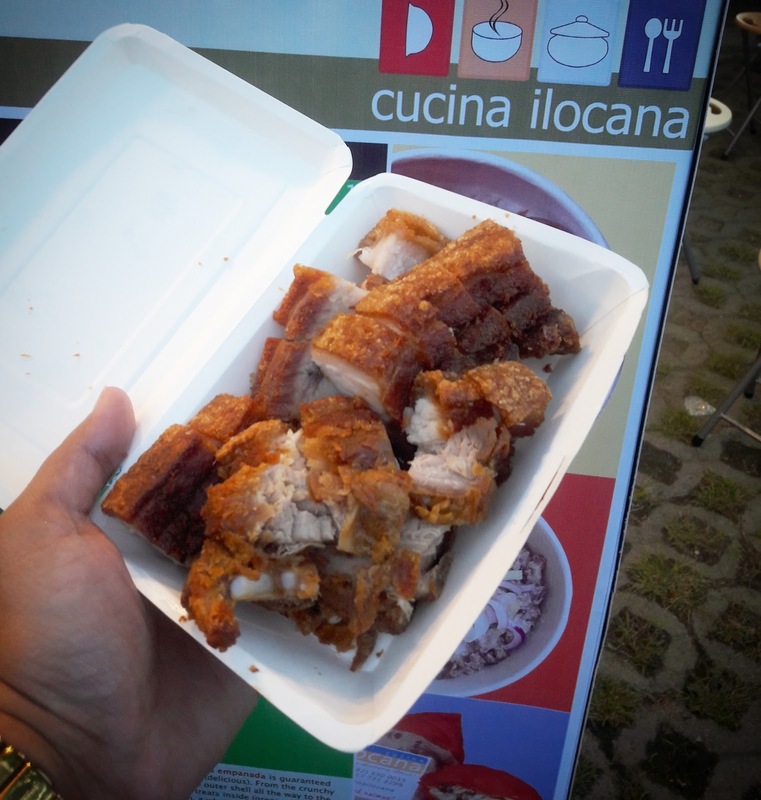 Cucina Ilocana has the crispiest slabs of awesomeness that will satisfy any pork lover's fantasies. This is perfect when served with rice dipped in sukang Iloko. Number four is my weekend market go-to drink kiosk. 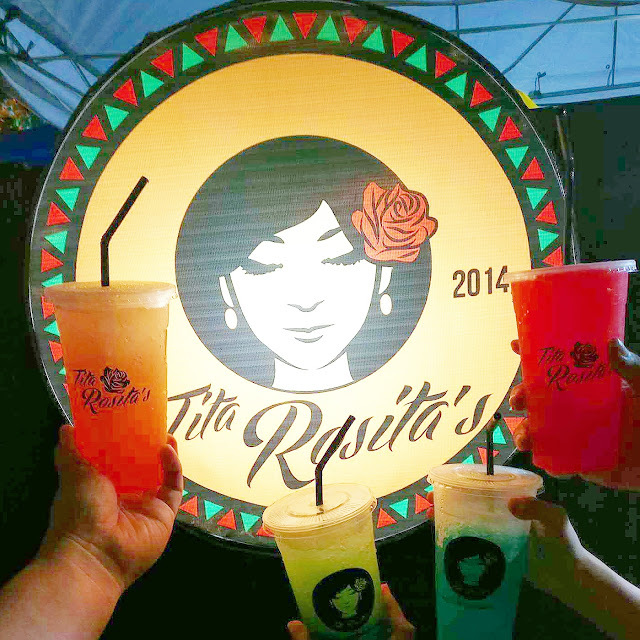 Tita Rosita's drinks are the bomb! I go through at least two tumblers per visit. My fave flavor? Pink Pomelo! Perfect level of sweetness and tang at a good price. Finally! A drink that is big on taste that doesn't make me feel like I'm gulping down a glass of syrup! Tita Rosita's is a certified Davao Bloggers Society favorite. 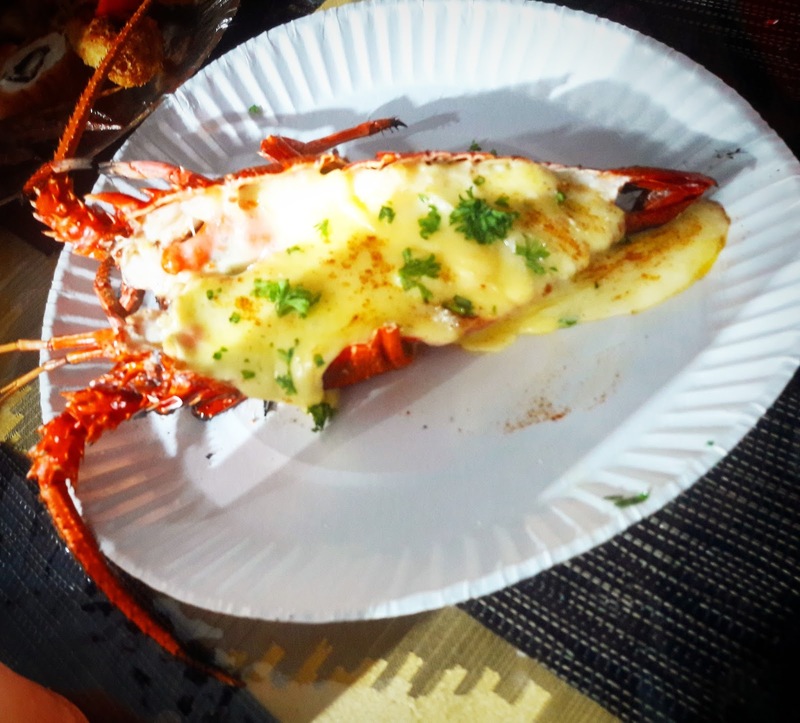 The Grilled Lobster with Cheese from Lobster Shack clocks in at number five and is probably the most decadent treat we had that night. Luxurious dinner at casual kiosks? Why not? 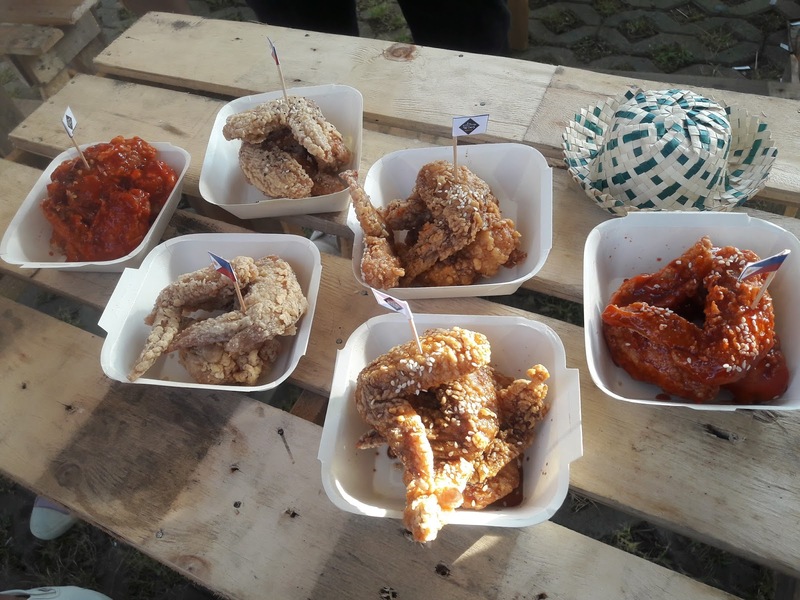 It was hard to choose my top five from the many dishes we sampled at The Weekend Market's Taste of the Nation. I plan to keep writing about my favorite fares about other food destinations I've attended and will post all that I've sampled on my Instagram account and Facebook page . Wow! 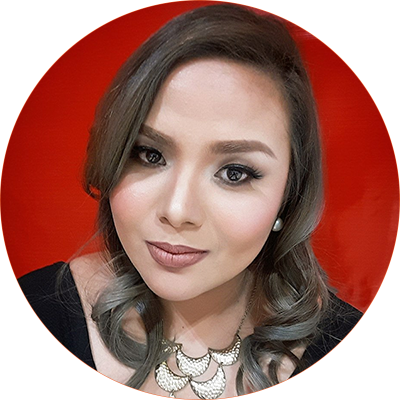 Great blog, Pau! Your 1, 2 and 4 are my faves too.